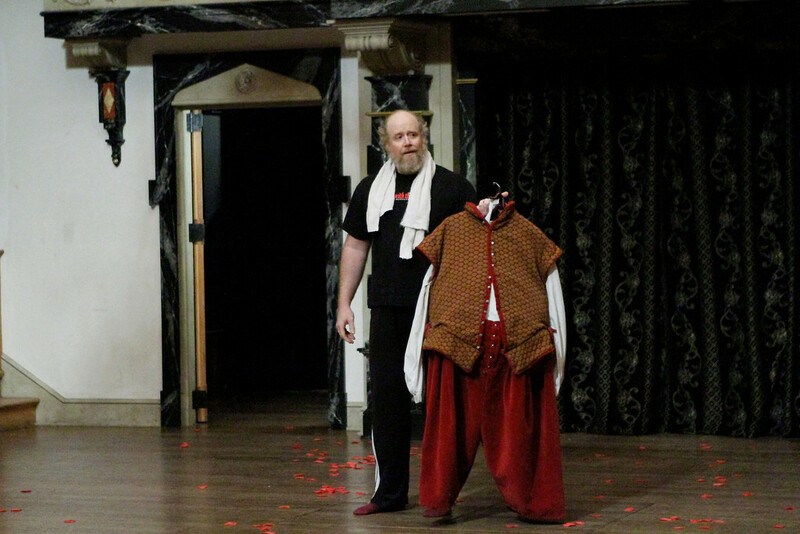 John Harrell in HENRY IV, PART 2. 2010. Sarah Keyes Chang and James Keegan in HENRY IV, PART 2. 2010. 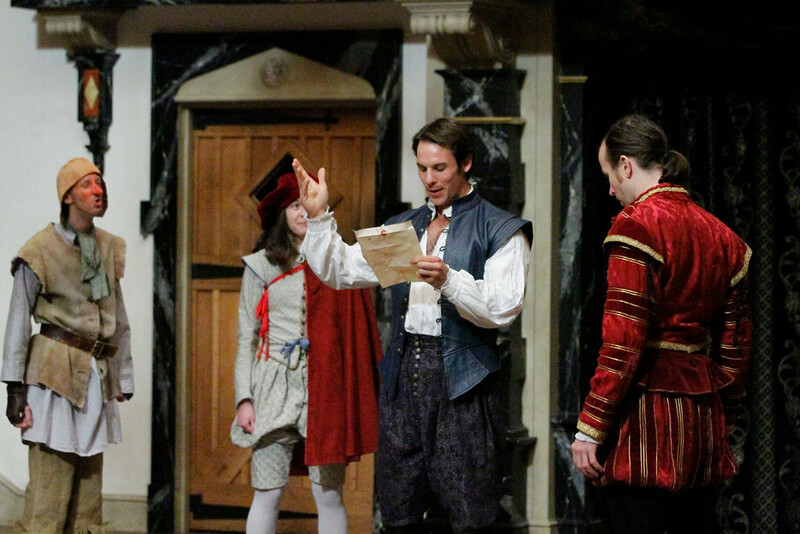 Daniel Kennedy, Allison Glenzer, and Sarah Fallon in HENRY IV, PART 2. 2010. 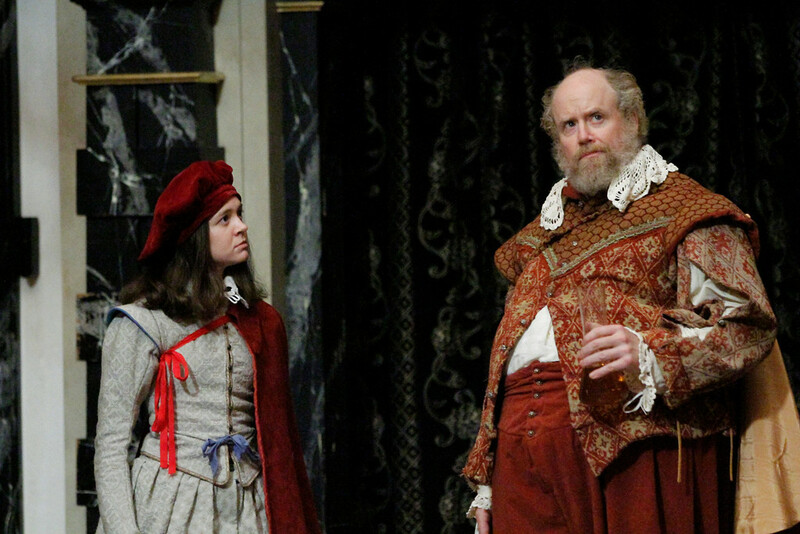 Jeremiah Davis, Sarah Keyes Chang, Patrick Midgley, and Chris Johnston in HENRY IV, PART 2. 2010. 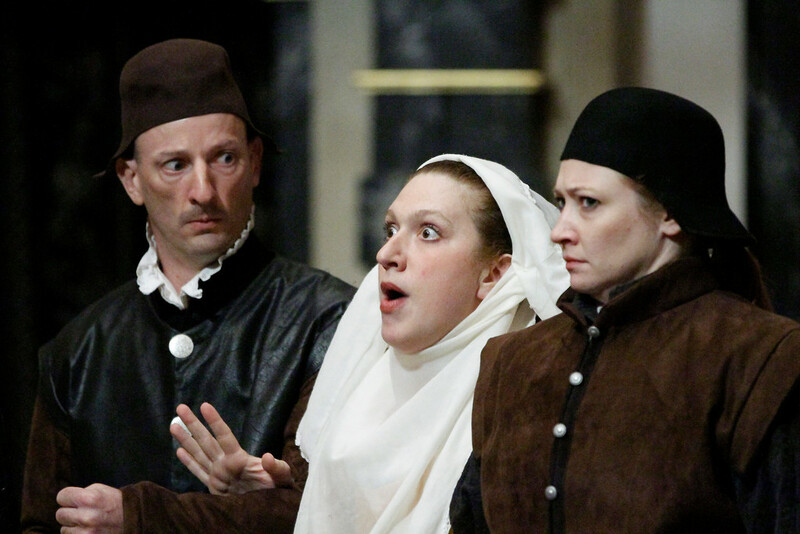 James Keegan, Allison Glenzer, and Ginna Hoben in HENRY IV, PART 2. 2010. 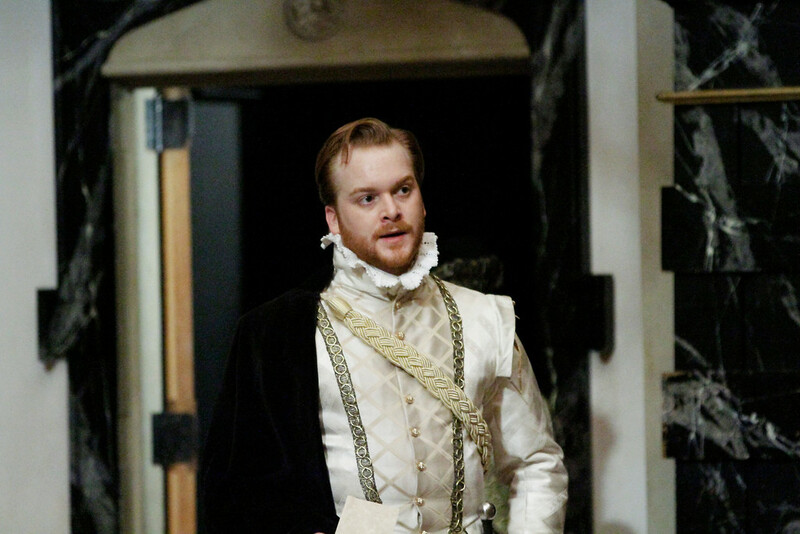 Jeremiah Davis in HENRY IV, PART 2. 2010. 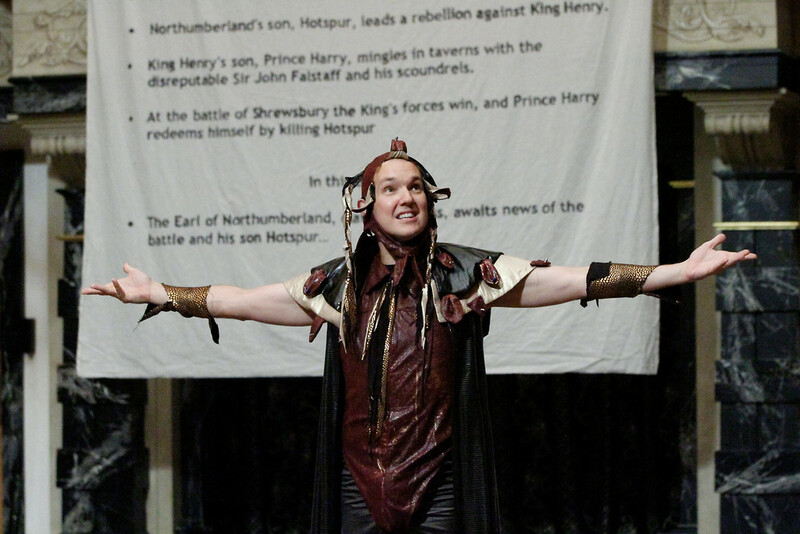 James Keegan in HENRY IV, PART 2. 2010. 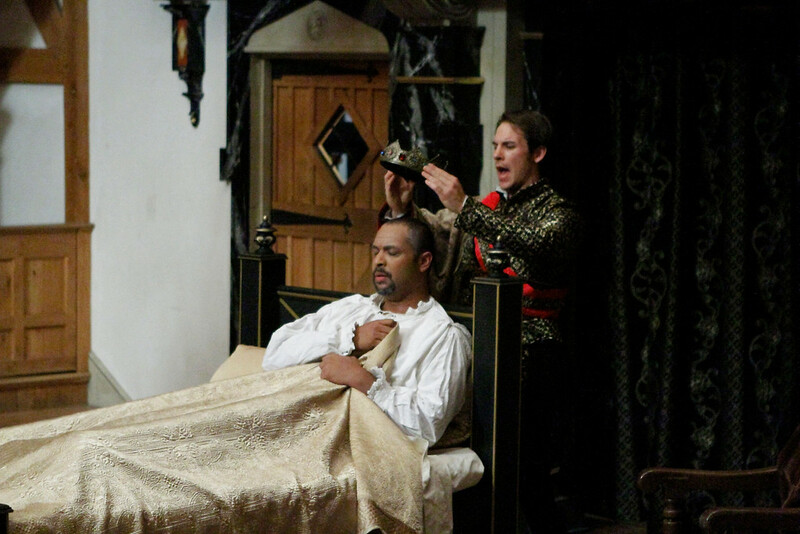 René Thornton, Jr. and Patrick Midgley in HENRY IV, PART 2. 2010. 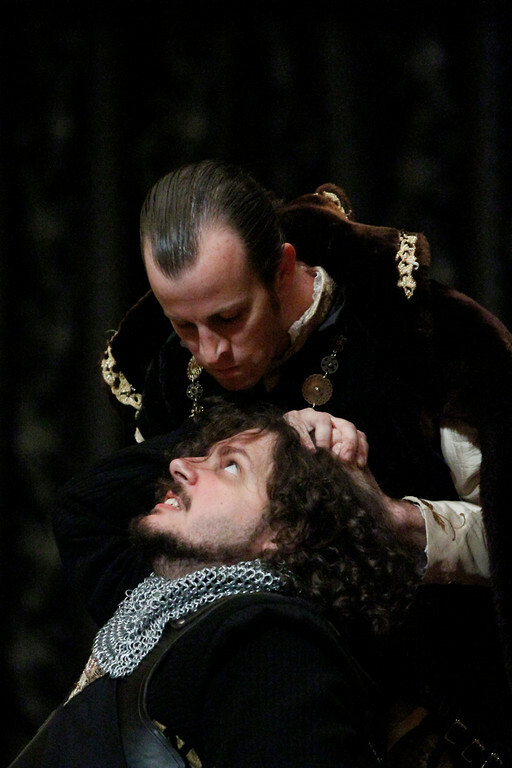 Chris Johnston and Paul Jannise in HENRY IV, PART 2. 2010. 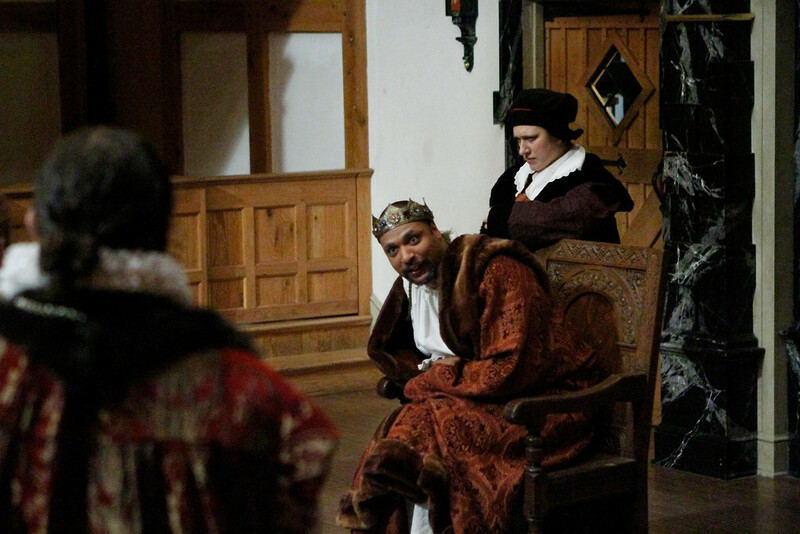 René Thornton, Jr. and Allison Glenzer in HENRY IV, PART 2. 2010. Richard II and Henry IV, Part 1. King Richard II yields his crown to his cousin Bullingbrook (now King Henry IV), who sends Richard to Pomfret castle where he is eventually killed by supporters of Henry. Prince Hal, Henry IV’s son, spends his time with the scurrilous knight Sir John Falstaff, much to the dismay of his father. Prince Hal kills Hotspur and helps his father thwart a rebellion against the throne of England. Prince Hal continues to associate with the criminal underground. 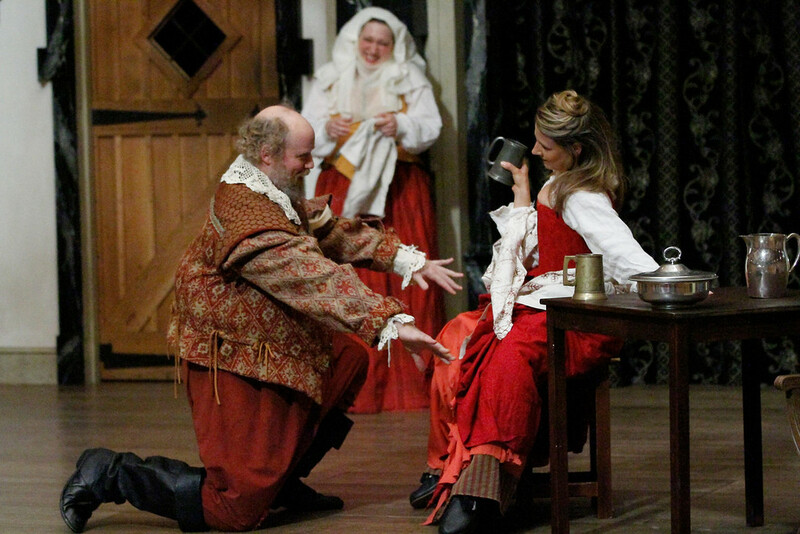 John Falstaff continues to commit small crimes and thievery, while looking for a wife in the brothels. King Henry IV is disappointed in his son because of the company he continues to keep. Falstaff conscripts thieves and villains into his loyalist army. King Henry IV becomes gravely ill.
Falstaff is told his urine is healthier than he is. Passing crowns, breaking hearts, and the chimes at midnight ensue. Will you still love me…when I’m 64? This play’s title, The Second Part of King Henry the Fourth, is box office poison. That is a shame, because people who know the play agree it is one of Shakespeare’s greatest; yet audiences rarely get the chance to see it. To understand the way its title has limited the production of the play, imagine that the sequel to Julius Caesar was called The Second Part of the History of Mark Antony instead of Antony and Cleopatra, and ask yourself how much that play would get staged. So I suggest you forget the title and think of the play you are seeing as Fat Jack and the Two Harrys or A Flim Flammer Knight’s Dream. The play is about love: the love of parents, the love of children for their parents, the love of friends, and – for a brief moment – it’s about the love of a man and a woman. You might miss that moment because the woman in question is a prostitute and the man is fat and old. Being old, however, is the other major subject of this play – perhaps the best ever on that theme. Running through the play are many reminders that he will have to face that end, among them Justice Shallow, an acquaintance of Falstaff’s youth who is now a prosperous old man.  When Falstaff looks at Shallow he sees double: he sees the social striver he is glad not to be, but he sees too the security that he does not have. Imagine your 50th high school class reunion. What if the nerd in your high – let’s call him Shallow – has made it big in real estate and has “land and beefs,” while the popular class clown, the drunk who cut all the corners and broke all the rules – let’s call him Falstaff – has spent all his fortune and is counting for his retirement on the friendship of a young prince? Doubting your immortality is bad enough; doubting what you’ve done with your life is worse. Enjoyed on its own terms, 2 Henry IV is a “history play” in the same way that King Lear is: the story of our lives. Yes, the last scene is about a young King’s choice between responsibility and friendship, but it moves us so deeply because in Falstaff and in his fate we see some of Lear’s “unaccommodated man ” and we see ourselves. 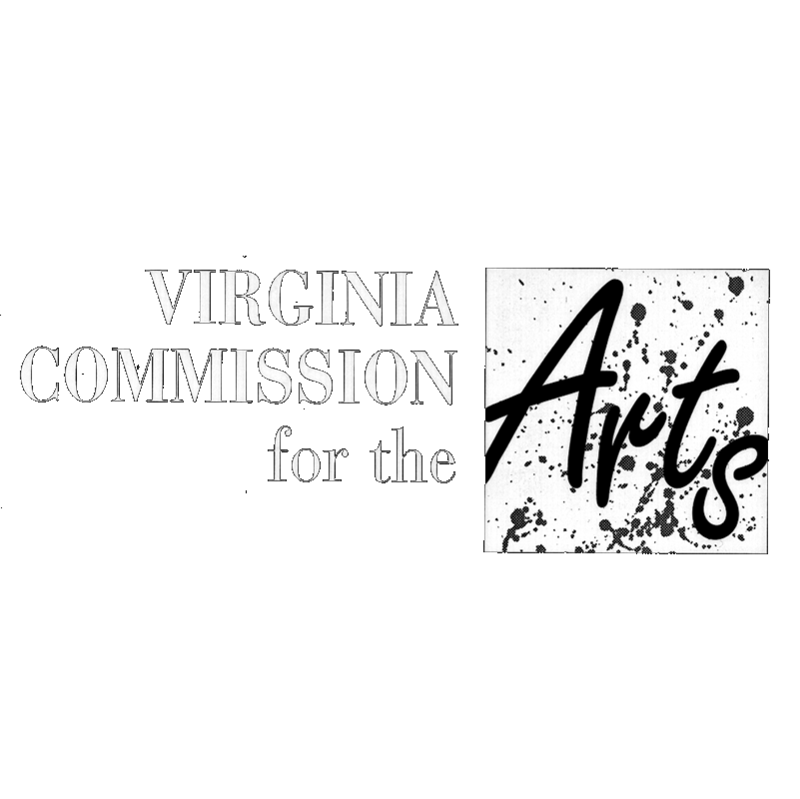 Earlier in the play, alone with his whore, Falstaff utters a three-word sentence: “I am old.” Before she can protest, he says it again: “I am old.” This is the truth he fights against with all his might; this is his one brave battle. This wonderful play deserves a better title, but The Winter’s Tale is taken.